Shakeology is a delicious, nutrient-dense, superfood-packed meal replacement shake that is unlike any other shake on the market. It’s made with whole food ingredients & a super-food blend—the perfect combination of proteins, phytonutrients, antioxidants, enzymes, prebiotics, and probiotics. Plus, it also contains many rare ingredients extensively studied & proven to help overall health, but ingredients we don’t normally get in our regular diet. Whether you use shakeology to help aid in weight loss, or, drink it to optimize your health, this powerful and delicious shake is your daily dose of dense nutrition. Shakeology contains over 70 high-quality ingredients in one shake, which you can have as a meal, snack, or dessert. It’s made only from the highest quality products from all around the world. It’s whole-food ingredient integrity and super-food blend make it stand out compared to other shakes on the market. 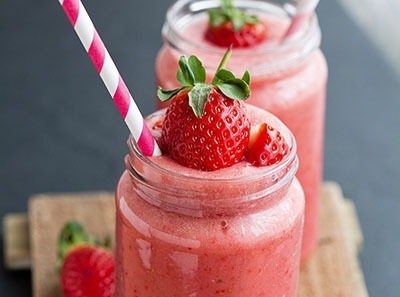 It delivers all of the nutrients you need on a daily basis in just one serving, and, tastes like a milkshake. I love Shakeology because I am a busy working parent, and, it is a quick, convenient way to get complete nutrition. 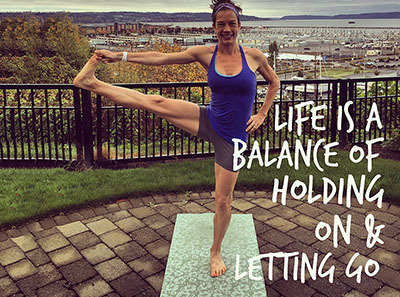 It supplies me with the energy I need to help keep up with the kids, work, & a busy lifestyle. It’s quick & easy to make, and better tasting than most other meals I could eat. 1) No preservatives or artificial sweeteners. 2) Nutrient dense meal replacement shake. 3) Easy, quick meal for on the go. The healthiest "fast food" you'll ever have! 5) One meal that you simply don't have to plan. 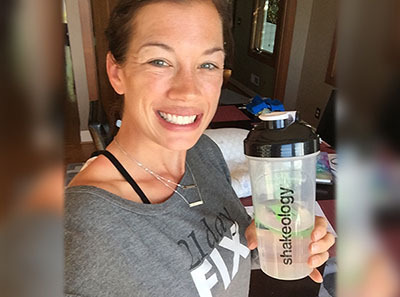 6) Improved fitness level—Shakeology can help build & repair muscles. 7) Can support healthy skin, nails, & hair. 8) Saving $$—No longer spending it on unhealthy meals, drinks, or vitamins & supplements. 9) Increased energy and stamina. 10) Reduced hunger & curbs sugar & junk food cravings due to proteins & fiber. 11) Weight-loss as a byproduct—Your body is able to metabolize efficiently, as it's finally getting all of the nutrients it needs. 13) Reduced stress due to adaptogen herbs traditionally used to respond to the effects of stress. 14) Versatility—Wide variety of flavors (7 total) including two vegan flavors... Ability to make various combinations that are equally delicious. 15) Overall improved health—Challengers have had improvements in their cholesterol levels, blood sugar management & more. 16) Supports the immune system due to antioxidants, phytonutrients, vitamins, & minerals, which help to fight free radical damage in the body. 17) Improved nutrient absorption & improved digestion due to prebiotics, probiotics, & digestive enzymes. 18) Shakeology is made only from natural whole foods. 19) 70+ ingredients studied extensively to ensure customers are getting only the highest quality products… Where else can you get ALL of these things for $4/day? 20) Without a doubt, healthiest meal of the day. 4) Dessert—Have a clean dessert instead that contains Shakeology. My favorite is a Shakeology mug cup. Mix together, microwave 35-40 seconds & enjoy! Top with unsweetened coconut if desired. Mix 1 scoop of Shakeology with 16 ounces of water & a few ice cubes. On it’s own, it’s delicious. I love, however, to make it more of a meal, by blending my Shakeology with a mix of water, unsweetened almond (or cashew or coconut) milk, ice, & other various ingredients to make it a tasty concoction. Shakeology dissolves easily, but blending it will give it a thicker, creamier texture. Some of my favorite ingredients to add are ½ banana, vanilla extract, chia seeds, and a tsp of PB. 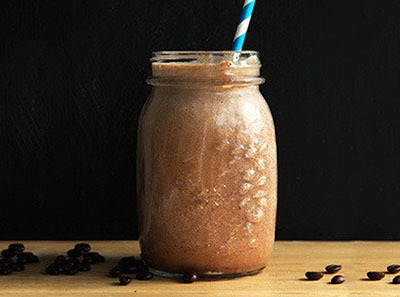 I don’t typically drink coffee, but some of my customers love adding a few ounces of chilled coffee to their Shakeology, which makes for the best & healthiest mocha imaginable. I have endless recipes and, am happy to share them with you! Also, when you order Shakeology, a calendar of recipes is included in the shipment, giving you an entire month’s worth of different (and delicious) recipe ideas. 1) You can purchase a week's worth of samples from me to try out Shakeology and see if it’s the right fit for you for just $35. This allows you to try all 7 flavors (including vegan chocolate and vegan strawberry), and, decide which you like best. 2) You can purchase a 3-day refresh, which comes with Shakeology. It is essentially a cleanse that has 2 protein shakes a day + a Shakeology daily + a fiber drink and some clean eating (veggies and healthy fats for snacks and dinner). For just $70 & 3 shorts days you can get your health, energy, and vitality back on track—all without starving. Many of my challengers conquer cravings, feel less bloating, and feel lighter and more energized. This is a great way detox and/or jumpstart your weight loss program or break through a plateau. 3) You can sign up for a challenge pack, which includes a fitness program, nutrition plan, and Shakeology HD (home direct). Shakeology on home direct gives you a reduced shipping cost, and, will automatically ship your shakes each month. You can cancel your Shakeology at any time, and, there is also a 30-day money guarantee. 4) You can purchase Shakeology on it’s own, in the bag (30 servings) or 24 individual serving sizes if you want a variety of shakes, or, portability for your shakes. Flavors include Chocolate, Vanilla, Strawberry, Café latte, Greenberry, Vegan Chocolate, and, Vegan Strawberry. Loaded with all the essentials. When I first heard about Shakeology, I didn't understand exactly what it was. I thought it was your typical protein shake. Wow, was I wrong about that!! I had drank a few different brands of protein shakes in the past. I thought they tasted fine, but, truthfully, never noticed any benefit or difference between the different brands. I didn’t notice any improvement in my health of fitness. When I was introduced to Shakeology from a friend, I had never before heard of it. Like many, my initial thought was, "It's how much?" I had no idea what was in the shake and all of its benefits, which I quickly learned. I quickly learned that it is worth much more than the price I pay for it. Shakeology is a complete nutrition shake loaded with all the essential nutrients (and delicious!). Many confuse this with a protein shake like others on the market, but this is by far packed with more nutrients than other “shakes”. And I’ve tried a lot). One of the things that stood out most to me was that it has no artificial sweeteners, preservatives, or, additives. As many of you will learn as you follow my journey, I have struggled with infertility. My children are the beautiful and miraculous products of in vitro fertilization. Prior to becoming pregnant, I met with a nutritionist who advised me to avoid all things artificial, SPECIFICALLY sweeteners. I admit, I LOVED diet cokes & sugar free white chocolate powder in my coffee. However, I quickly realized how bad these were for my overall health & my fertility. So, I was thankful I found a shake that did not have any of these harmful products in them. 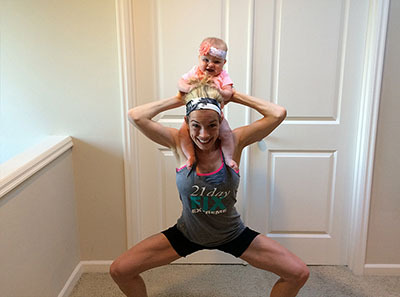 Shakeology has been a life changing addition to my nutrition & fitness, particularly in my journey to lose the baby weight after I had my daughter (first child). To be honest, I was skeptical about Shakeology to begin with. It seemed expensive, and I really wasn’t a Shake girl. Like many others have stated, I liked to eat my food. However, it quickly because my favorite meal of the day. After extensive research (I’m a nurse practitioner and I like to know what I’m getting in to!! ), I found that it had only the best of the best products, great testimonials, and extensively researched & healthy ingredients. I decided to try Chocolate to start as I began my first round of the 21-day fix. I also wanted a quick & easy option for breakfast when I went back to work after maternity leave. When I ordered my first pack of Shakeology & the 21-day fix, I decided to become a Beachbody coach, because it gave me the opportunity to save 25% on my shakes. I was so early in my transformation but I had a feeling that I could help others get healthy & lose weight, too, so, I decided to give Shakeology & Beachbody Coaching a shot. After all, I had nothing to lose. I have no doubt Shakeology was the game changer for me. 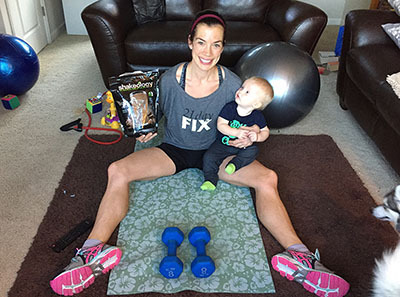 When I first started my first round of the 21-day fix approximately 8 weeks after I had my daughter, I noticed an immediate difference. I had WAY more energy than I should have despite waking multiple times in the night. I no longer had that mid-afternoon energy crash. I no longer was drinking coffee! I remember specifically saying to my husband, “It has to be the Shakeology. There is no other explanation for why my energy is so high.” I have no doubt it’s because I was nutrient deficient. I truly think the Shakeology made the biggest difference as far as getting back into pre-pregnancy shape after my daughter & now my son. I have it each morning as my first meal of the day and it has quickly become my favorite meal. Shakeology replaces 1 protein serving for the day. Shakeology provides you with 70+ vitamins and minerals. In fact, while pregnant, and breastfeeding, my doctors advised me I no longer had to take my prenatal vitamin because my Shakeology had everything I needed in it (though I add folic acid and fish oil as I need more of this when I was pregnant). Most people find they don’t require any other vitamins, minerals, or supplements from the store (unless they are specifically deficient in one area). My fertility doctor gave the go-ahead to continue my Shakeology while I was going through my in vitro fertilization cycle. That to me was a testimony of the high quality nature of this amazing meal replacement shake. Some people drink Shakeology for weight loss, to gain weight, for weight maintenance, and to simply be healthier & get stronger physically it works great for either purpose. This truly is about creating healthy, lasting habits! !